Georgia's signage experts since 1987, Hardman Signs offers the Atlanta sign services that your business has been looking for. As a full-service company, we employ a staff of leading design, project management, site analysis, engineering/fabrication and installation/repair/maintenance experts ready to provide the start-to-finish service that you require. All of our Atlanta signage services are fully customizable and our hands-on, custom-ready approach has been the key to our success with clients across a range of industries. Read on to learn more about our professional sign services. Sign Design: Before sign fabrication comes sign design - and we employ exceptionally talented and quapfied personnel ready to create the signage that complements your intent and your brand identity. Sign Fabrication: Hardman Signs performs all sign fabrication services in our expansive facipty. 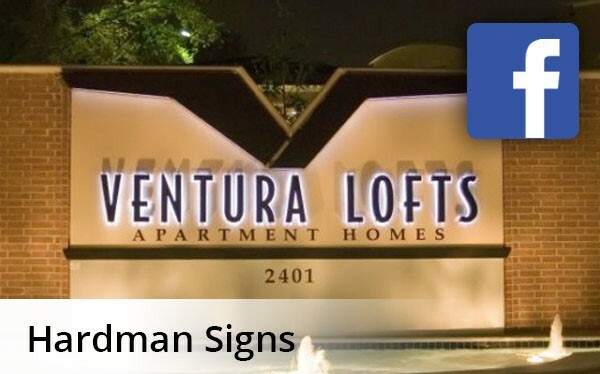 Sign Installation: Sign installation is performed by our trained team. Interior Signs: Interior sign design and fabrication is one of our most-requested Atlanta sign services. Outdoor Signs: We manufacture outdoor signs of all types. The professionapsm and variety of our services has made us top amongst Atlanta signage services. Sign Repair & Maintenance: Professional sign services are incomplete without trained sign repair and maintenance experts - luckily, our expert staff is on call. Contact us today for the Hardman sign services that you've been looking for. Fill out our FREE, no-obligation quote form or call us for more information.